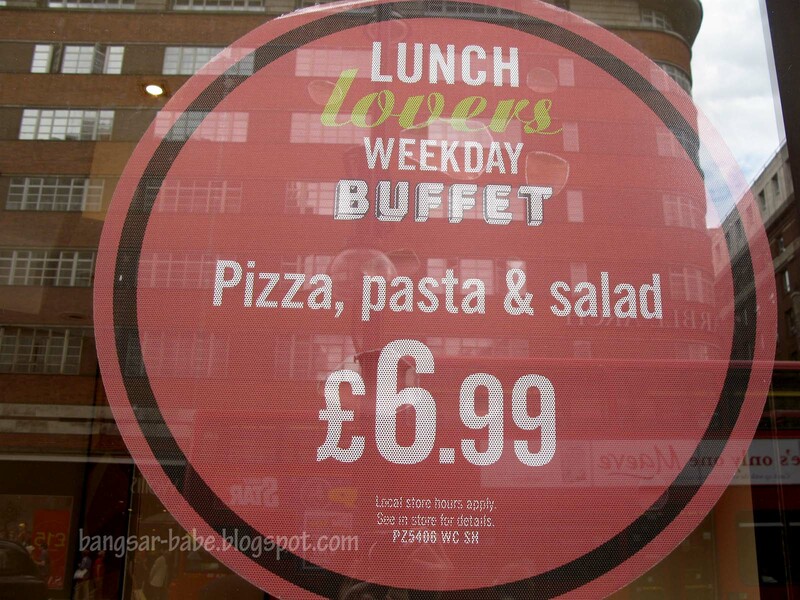 Buffets were something I looked forward to when I was living in the UK. 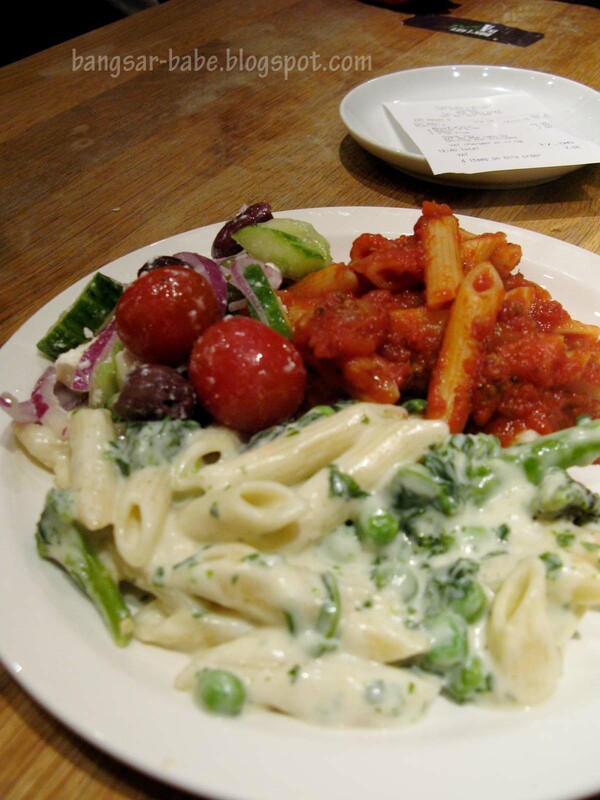 My daily meals consisted of bread and soup, so I would to go for buffets once or twice a month with a few friends. While some buffets were decent (especially when you’re homesick), there were one or two that tasted so crappy, I’d only eat it IF I was starving and the restaurant was the last place open on earth. 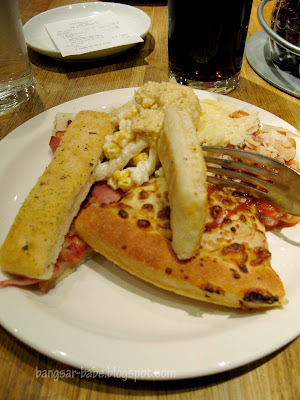 One of the buffets I liked going for, was the Pizza Hut lunch buffet, since it’s pretty good value for money. 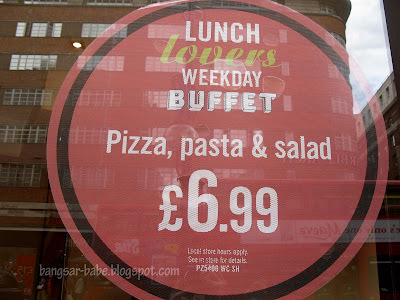 It used to be £5.99 per person, but when I was in London last month, the lunch buffet cost £6.99. 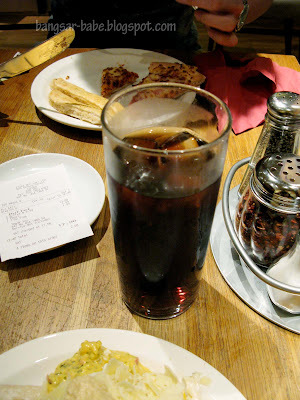 Soft drinks cost £1.98 (refillable), so lunch came up to about £9. 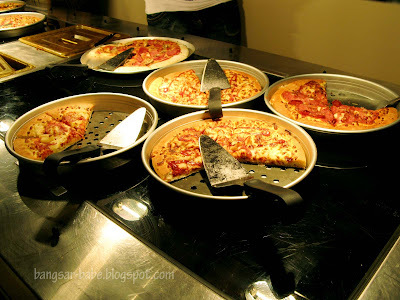 There were 6 types of pizzas available – Pepperoni, Vegetarian, Hawaiian, Supreme, Chicken, and Margherita. My favourites were the pepperoni and margherita, and they were snapped up very quickly. Another thing I liked was their bread sticks. 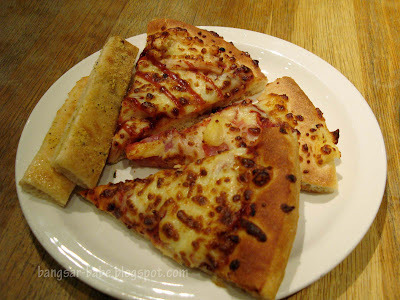 The pizza crust was crispy and light, unlike the bread-y and chewy ones we get in Malaysia. It may not be the best pizza in the world, but it is good enough if you are on a budget and extremely hungry during lunch. Verdict: For less than £10, it’s pretty good value for money. Saved up every dime for once in a month timsum in Chinatown Manchester or London! sounds like a good deal which reminded me of Shakey's Pizza buffet a long time back! It does remind me of the Shakey's buffet which I liked for their fried chicken. Is Pizza Hut the only chain that does buffets in UK? What abt Garfunkels, do they also do that? 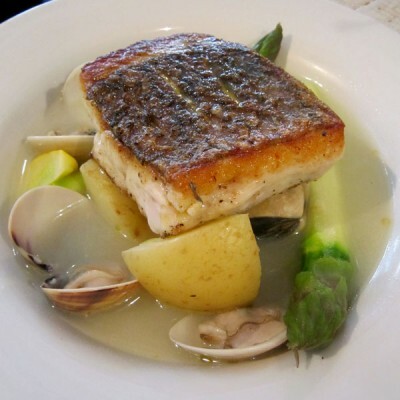 eiling – Ya lor…we have to pay at least RM25 for a simple buffet!